We are registered with the Secretary of State for Florida. This is also known as SunBiz.org. 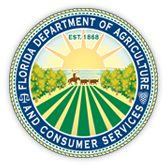 All businesses that conduct business in the State of Florida are required to register. Please click on the picture to the left to be taken to the Secretary of State's Registered business page to verify our current standing. Dale Graham is a State of Florida Licensed Private Investigator and holds an Agency License with the State as well. Please click on the picture to the left to be taken to the State's Licensing website to verify current standing. Additionally, my company is an appointed State of Florida Surplus Trustee.